We are pleased to announce that Dr. Su Yeong Kim has been named as the incoming editor of Cultural Diversity and Ethnic Minority Psychology (CDEMP), the journal of Division 45 of the American Psychological Association. She joins an esteemed group of previous editors: Drs. Michael Zarate, Gordon Nagayama Hall, Gail Wyatt, founding editor Lillian Comas-Díaz, and, of course, current editor, Richard M Lee. Dr. Kim will officially begin her role as incoming editor January 1, 2019 and she will become editor January 1, 2020. 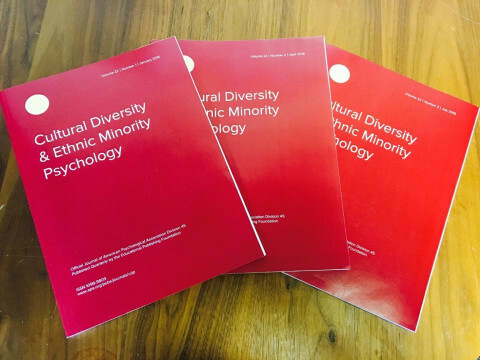 CDEMP provides critical scholarship to the field of psychology, and is a leading journal for the study of cultural diversity and ethnicity. The journal seeks to advance the psychological science of culture, ethnicity, and race through the publication of empirical research, as well as theoretical, conceptual, and integrative review articles that will stimulate further empirical research, on basic and applied psychological issues relevant to racial and ethnic groups that have been historically subordinated, underrepresented, or underserved. In their announcement, the journal wrote: Dr. Su Yeong Kim is Professor in the Department of Human Development and Family Sciences at the University of Texas at Austin. She received her Ph.D. in Human Development from the University of California, Davis. Her research interests include the role of cultural and family contexts that shape the development of adolescents in immigrant and minority families in the U.S. She is prolific with nearly 100 journal publications and 6 extramural grants. Dr. Kim is a current CDEMP Associate Editor and she has been on the editorial board since 2005.